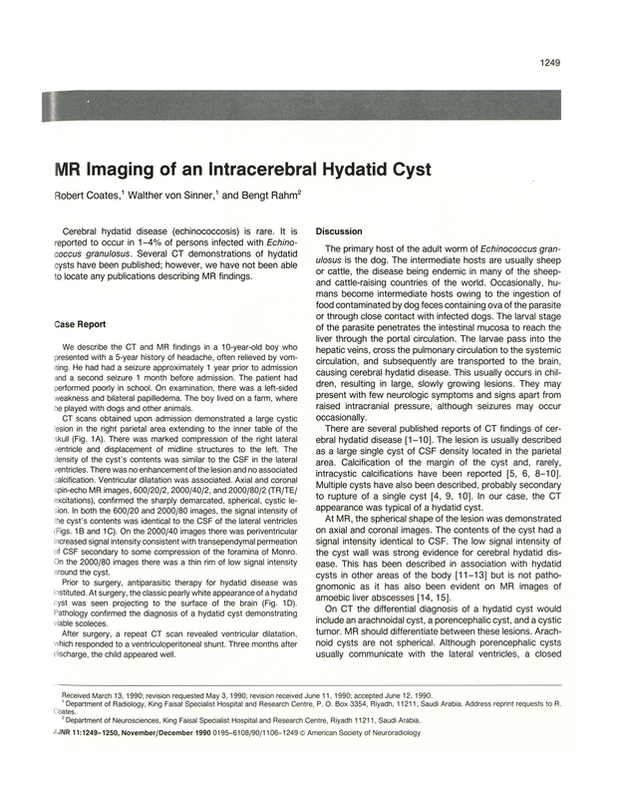 MR imaging of an intracerebral hydatid cyst. Department of Radiology, King Faisal Specialist Hospital, Riyadh, Saudi Arabia. You are going to email the following MR imaging of an intracerebral hydatid cyst.